Physical therapists commonly treat individuals who have experienced an injury to the group of muscles/tendons in the shoulder called the ‘Rotator Cuff.’ This group of tissues can actually become torn if the cause of micro or macro-trauma is not treated or prevented. The following article provides an overview of the structures involved, the condition itself, and the treatment options available. The top of the humerus is shaped like a ball. This ball sits in a socket on the end of the scapula. The ball is called the head of the humerus and the socket is called the glenoid fossa, hence the term “glenohumeral” joint. The glenoid fossa has a rim of tissue around it called the glenoid labrum. The glenoid labrum makes the glenoid fossa deeper. Tendons connect muscles to bone. There are four muscles (supraspinatus, infraspinatus, subscapularis and teres minor) that surround the glenohumeral joint. These four muscles are attached to the scapula. They turn into tendons, which in turn attach to the humerus. The tendons of these four muscles make up the “rotator cuff” that blends into and helps support the glenohumeral joint capsule. The muscles of the rotator cuff and their tendons provide stability to the glenohumeral joint, the most mobile joint in the body. – Degeneration of the rotator cuff due to aging. – Poor blood supply to the rotator cuff. – Narrowing of the space between the humerus and the acromion (subacromial arch). This can cause progressive “fraying” of the rotator cuff. – Pain in the shoulder during lifting and with overhead activities. – Pain in the shoulder at night or while sleeping. – Weakness in the shoulder, especially when attempting to lift the arm. – Catching, grating or cracking sounds in the shoulder when the arm is moved. 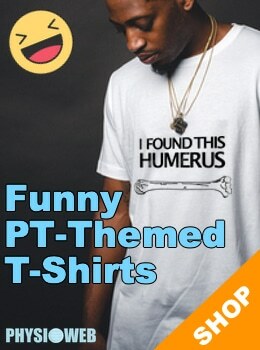 This content is provided courtesy of Joint Pain Info .com .